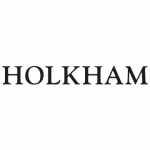 Join one of our Wardens on a guided walk around the Holkham National Nature Reserve, the rich variety of wildlife at Holkham NNR means that there is always something of interest to see throughout the year. Well behaved, sociable dogs on leads welcome. Each walk will begin at 10am and last approximately 2 hours. Each walk will begin at 10am and last approximately 2 hours. All walks will start at Lady Anne’s Drive; please meet outside The Lookout five minutes before the walk is due to begin. Parking charges apply.